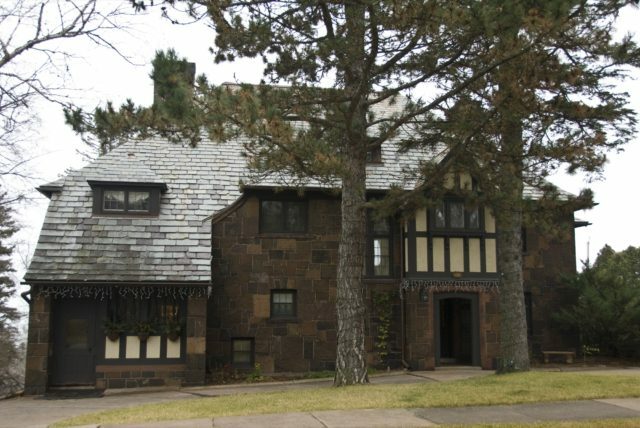 The Bailey’s Tudor Revival style home stands in testament to the ten-year partnership between Leif Jenssen and Frederick German, who was much better known for his work in Duluth with A. Werner Lignell. German and Jenssen also designed Duluth’s Pilgrim Congregational Church at 2310 East Fourth Street, which is considered their masterpiece. Outside of his job as vice president of the Northern Oil Company, little information about William and Rebecca Bailey remains.